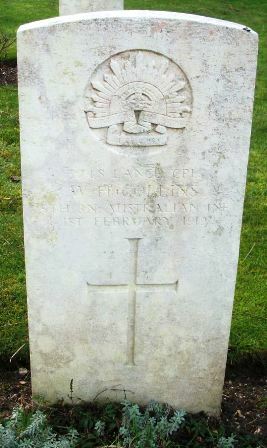 Son of Ewen & Mary Cameron of St. Arnaud, Victoria. 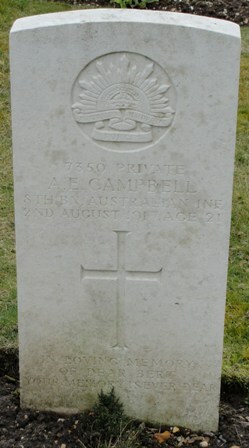 Son of Elisha and Elizabeth Campbell. 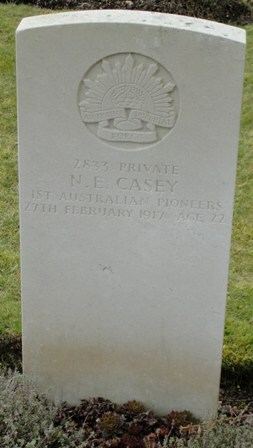 Son of Thomas William and Mary M. Casey. 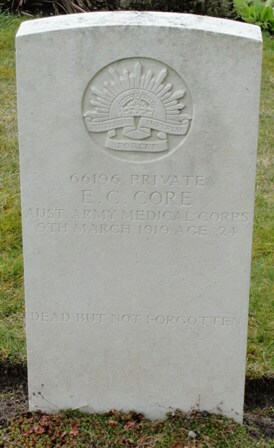 Born at Flemington, New South Wales. 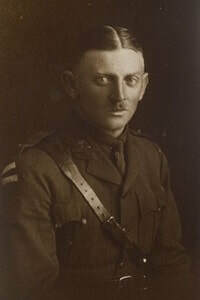 Son of Francis G.B. 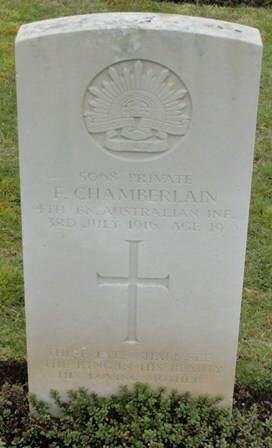 & Florence Chamberlain, Wahroonga, N.S.W. 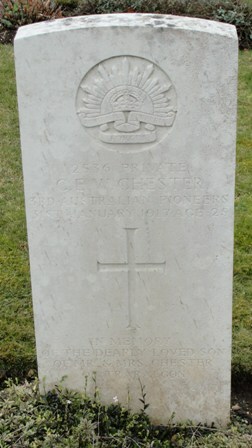 Son of William & Amelia Jane Chester, Traralgon, Victoria. 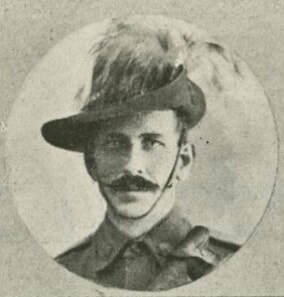 Studio portrait of 2536 Private Charles Edward William Chester, 3rd Pioneer Battalion, of Traralgon, Victoria. 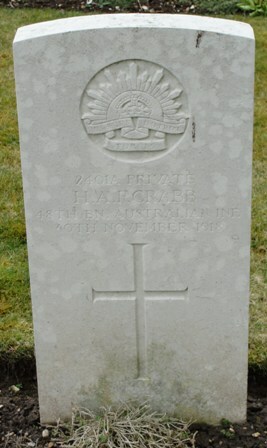 A school teacher prior to enlisting, he embarked from Melbourne aboard HMAT Port Melbourne (A16) on 21 October 1916. 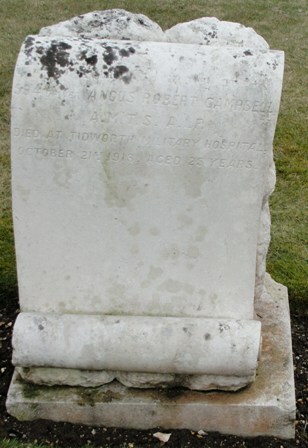 Soon after landing at Plymouth, United Kingdom on 28 December 1916, he contracted Cerebro-spinal meningitis from which he died on 31 January 1917 in the Lucknow Isolation Hospital, Tidworth, United Kingdom. 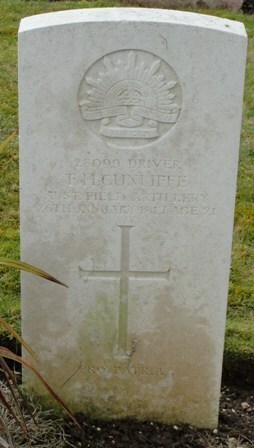 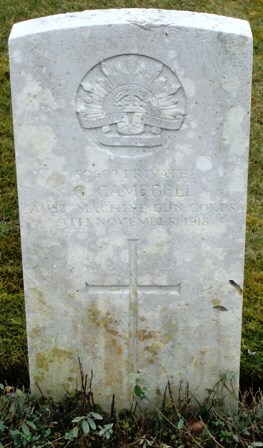 He is buried in the Tidworth Military Cemetery, United Kingdom. 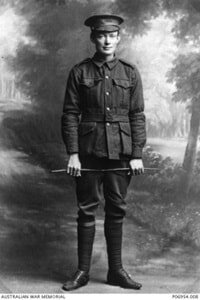 Studio portrait of 2553 Private (Pte) Percy Charles Christmass, 43rd Battalion, of Northam, WA. 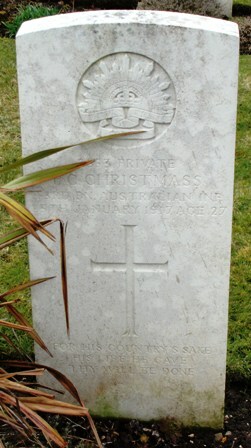 Pte Christmass, a labourer before enlisting on 2 March 1916, embarked from Fremantle on HMAT Argyllshire on 9 November 1916 with the 5th Reinforcements. 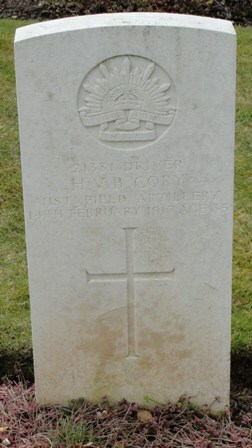 He died of sickness on 25 January 1917 in England, at the age of 27, and was buried at Tidworth Military Cemetery, North Tidworth. 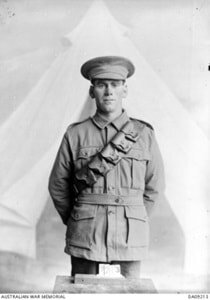 Studio portrait of 2349 Gunner (Gnr) John Leslie Clarke, 12th Field Artillery Brigade, of Balranald, NSW. 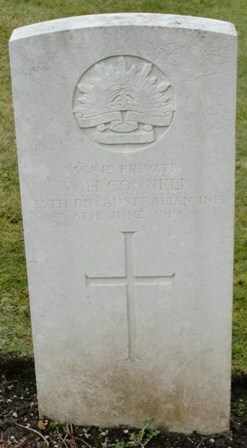 Gnr Clarke enlisted on 29 May 1915. 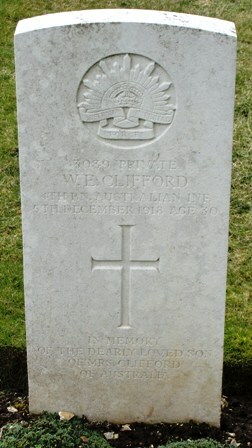 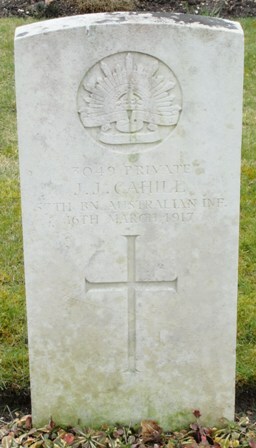 On 1 March 1919 he died of broncho pneumonia in Wiltshire, England and is buried at Tidworth Military Cemetery. 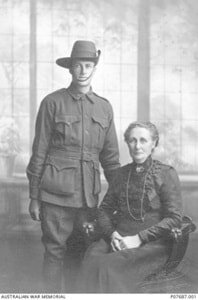 Studio portrait of 7251 Private (Pte) Louis Frederick Cooper, 12th Battalion, of Longford Tasmania, with his mother, Fanny Maria Cooper. 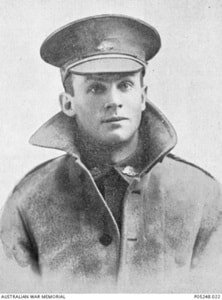 Cooper enlisted on 29 October 1916 and travelled to Mitcham Camp, Adelaide for training before embarking aboard HMAT Seang Bee (A48) on 10 February 1917. 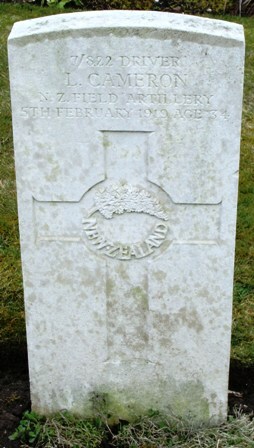 Following further training in England, he proceeded to join his battalion in France in October. 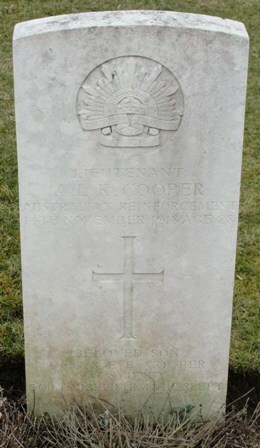 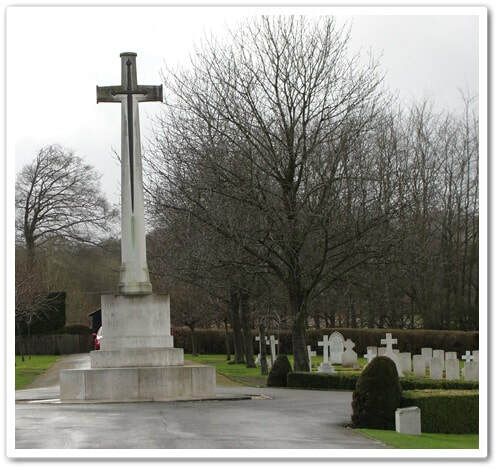 Pte Cooper died of pneumonia at Tidworth Military Hospital on 24 July 1918 and was buried with full military honours. 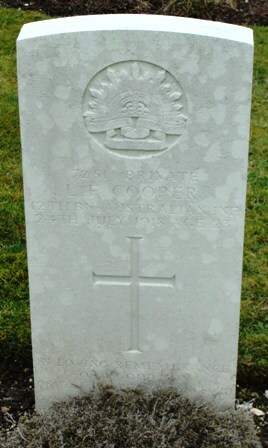 In a burial report sent to his mother, Pte Cooper was reported as "very popular with both Officers and Men of his Unit and always proved himself a good comrade".